When authorities pulled down the United Church building in the heart of down town Port Moresby several years ago, some sectors of the community complained bitterly, suggesting it be preserved. Not far from that church building on the hill adjacent to Qantas House, the National Museum and Art Gallery was fighting a losing battle to prevent the demolition of another building. When bulldozers finally went to work, they crushed 100 years of religious history for the United Church. The Church’s first ever building, erected shortly after the arrival of missionaries, came tumbling down and its remnants were carted off to the dump. The United Church said then, it had no funds to maintain the building. It was the same story for the structure further up the road. The National Museum and Art Gallery could not produce the required funds to convince city authorities to prevent its demolition.. This building had over the years crumbled from a lack of care and maintenance and became the subject of termite infestation until it was condemned by City Hall. Bulldozers tore down what was left of Papua New Guinea’s history. This was the first House of Assembly, the corridors of which hosted a handful of brave, young Papua New Guinea men who plotted vehemently for Papua New Guinea’s Independence in 1975. The meeting rooms,, the chamber where history was made, came tumbling down in one big pile of rubble in a matter of minutes. There was a section of the public that criticized the country’s inability to preserve its history for future generations. Preserving history for most Pacific Island countries including Papua New Guinea has always been through story telling. But 40 years on, the number of story tellers is diminishing. The story of Independence is one of courage and determination. But children learn of this at university if your field of study is Political Science. Sir Michael is synonymous with Independence. But the story is fading fast and the younger generation knows little to nothing about how those significant events unfolded. Prince Charles flew into Port Moresby to declare PNG’s Independence at the Sir Hubert Murray Stadium in Port Moresby which has since been demolished to make way for a new sports stadium for the July Pacific Games this year. The opportunity to teach our children an important part of the country’s history may have been lost forever. A lesson to have been learnt and felt in the conservation of a building as vital as its’ first House of Assembly. 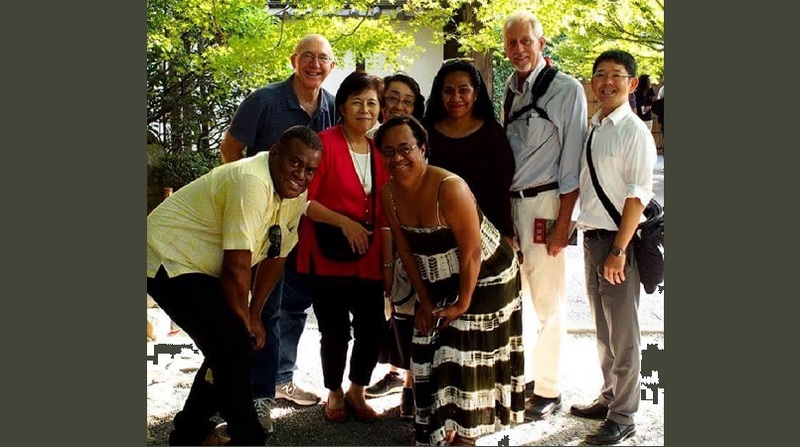 Pacific journalists touring parts of Japan this week were taken to some of its ancient treasures in Kyoto today. The Nijo-jo castle is one of UNESCO’s world heritage sites. There were throngs of visitors to this ancient piece of Japanese history, built in 1603 as the official Kyoto residence for the first Tokugawa Shogun, Ieyasu. As we toured, maintenance work was being carried out at different sections of the castle and people paid a fee to tour the grounds and learn its history. More than half the visitors there were Japanese locals including school children. These sites are well guarded, well-kept and revered by locals. 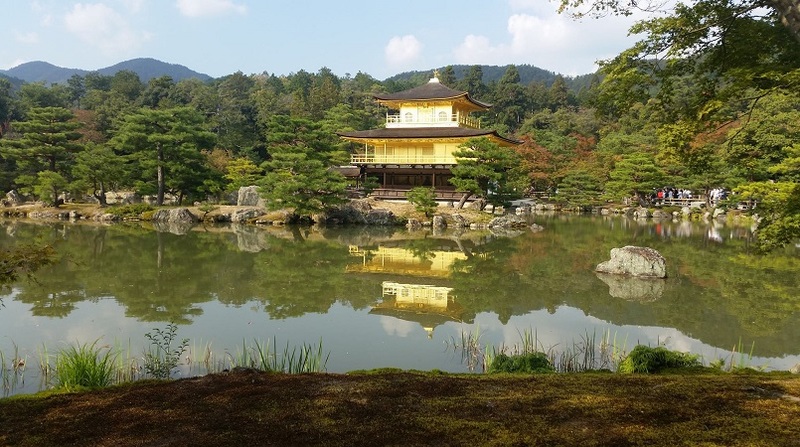 Two other sites toured today were the Golden Pavilion, built in 139 and the Ryoanji Temple acquired in 1450, destroyed by fire during the Onin War and rebuilt in 1499. It too was registered as a World Heritage site in 1994. For us it was a spiritual journey back in time – every tree, every timber, every wall, every painting and paving – a reminder of Japan’s rich beginnings captured forever in what is perhaps a costly yet worthwhile conservation program.